The books in the new “Whatsoever Things” series have been specially selected and edited to ensure wholesome reading content. Our primary motivation in producing them is to have quality literature for our children and future grandchildren to enjoy. Not just “cut and paste” reprints, these have been carefully read through and altered wherever necessary (in the writing style of the original author) to remove the dross* and allow the solid heart of the story to shine through. Occasional editorial notes at the end of some chapters also point the reader to appropriate Scriptures for properly understanding certain passages in light of a Biblical worldview. It is our desire to add to this series over time, Lord willing, until it becomes a true library builder for the Christian family. * Dross may include anything from God’s name being used in vain, to sinful behavior being glorified, to allowing worldly philosophies to stand uncontested, etc. You can find a more detailed explanation of the series here. Scroll over any book cover to see a quote, or read a sample chapter from each of the titles below. 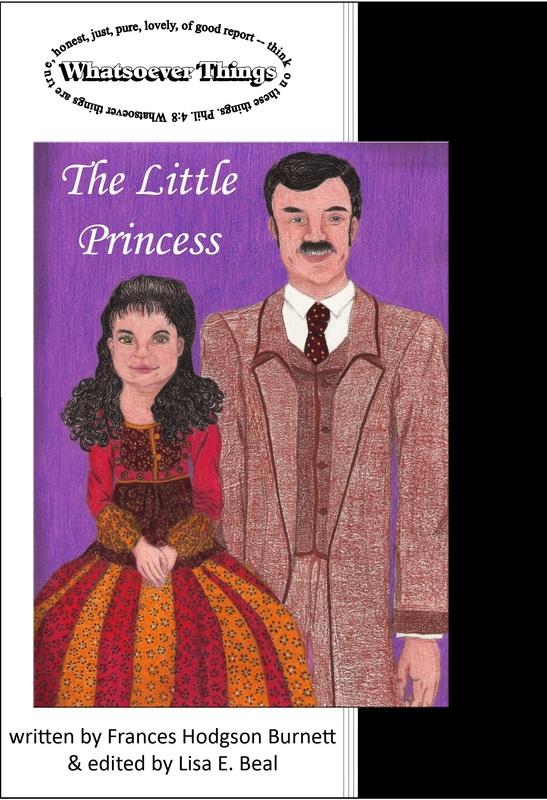 The Little Princess tells the story of a young girl, Sara, who is born into privilege but later finds her fortunes reversed. Will she remain a princess at heart even through adversity and trial? Character qualities emphasized include: courage, compassion, generosity, and self-control. View a sample chapter. 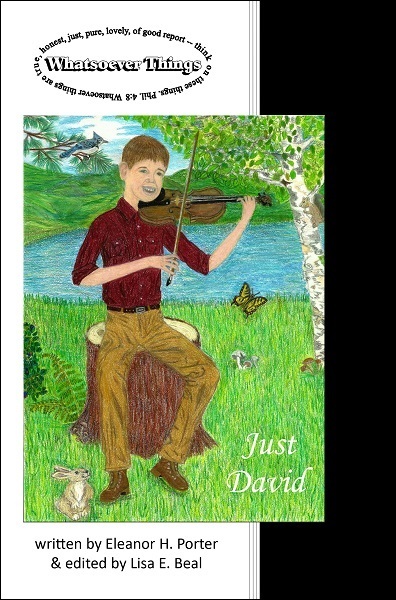 Just David relates the journey of a young boy who lives in a mountain cabin with his father, until the day Father becomes gravely ill. Will he remember the lessons his father taught him when he must adjust to life without him down in the valley? Character qualities emphasized include: creativity, friendliness, forgiveness, and self-sacrifice. View a sample chapter. 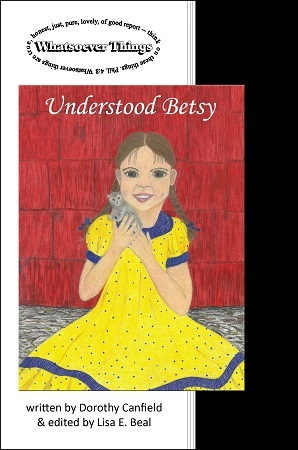 Meet Elizabeth Ann in Understood Betsy and watch her grow from a timid, nervous little girl to a confident and dependable young lady who watches out for others. Character qualities emphasized include: responsibility, industriousness, compassion, and self-sacrifice. View a sample chapter. 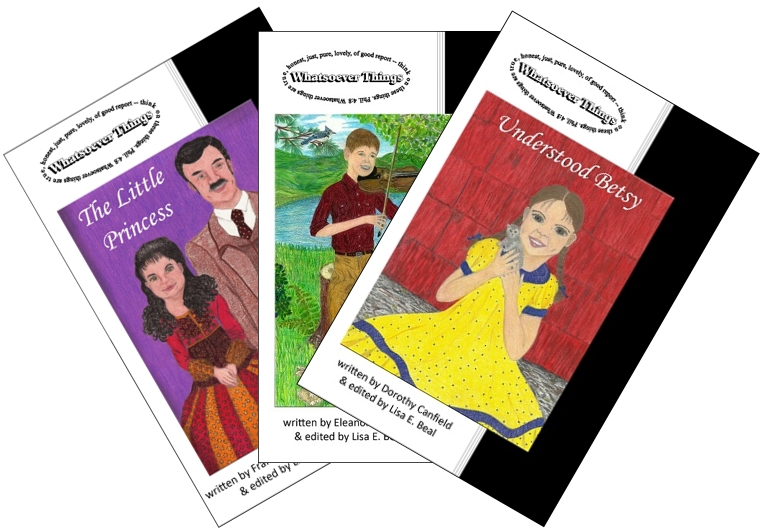 Library Builder Bundle 1: One copy each of The Little Princess, Just David, and Understood Betsy for only $32.00 (saves $1 off each title). For details on each book, see individual entries above. 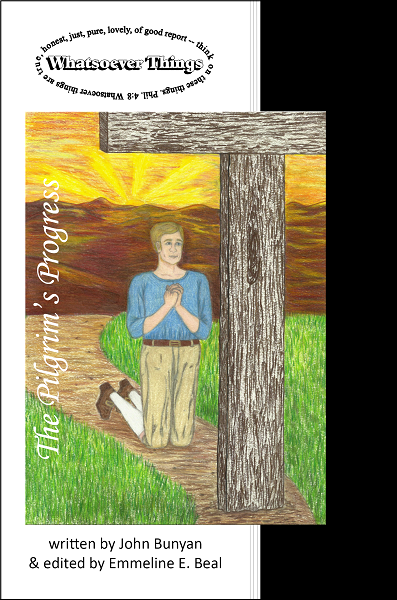 The Pilgrim’s Progress details Christian’s journey from the City of Destruction all the way to the gates of the Celestial City. Empathize with his struggles and rejoice in his victories. Character qualities emphasized include: perseverance, faith, teachability, and discernment. View a sample chapter. 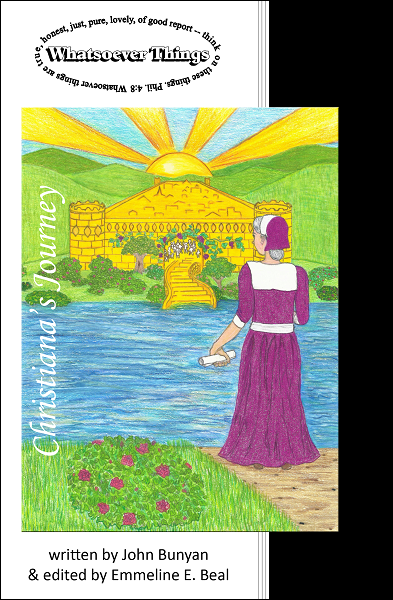 Christiana’s Journey, sequel to The Pilgrim’s Progress, traces the steps of Christian’s wife and four sons as they follow along behind him. Will they, too, overcome all odds and triumph at the last? Character qualities emphasized include: mercy, courage, wisdom, and multigenerational faithfulness. View a sample chapter. 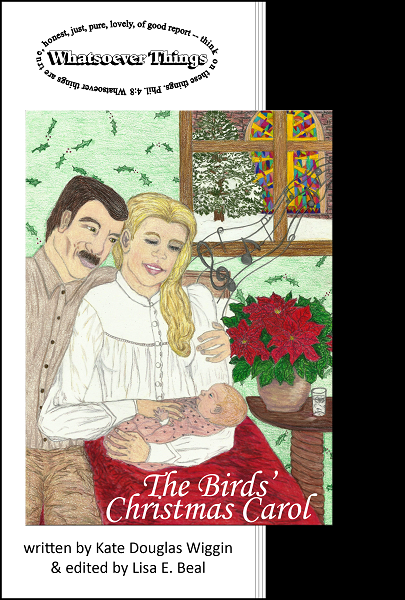 The Birds’ Christmas Carol introduces us to Carol who, though confined to her bed, endeavors to bless both her family and her neighbors. 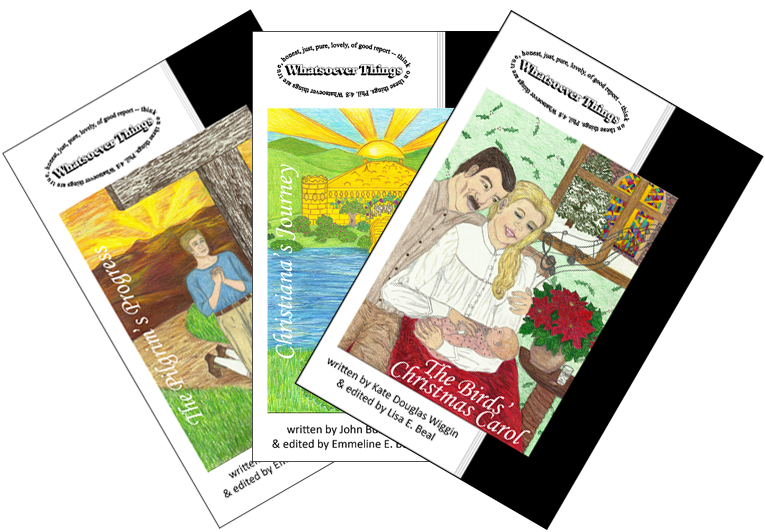 A selection of short stories and poems rounds out the book and inspires one to honor Christ all year through. Character qualities emphasized include: generosity, reverence, forbearance, and contentment. View a sample story. Library Builder Bundle 2: One copy each of The Pilgrim’s Progress, Christiana’s Journey, and The Birds’ Christmas Carol for only $32.50 (saves $1 off each title). For details on each book, see individual entries above. Lord-willing, we will be adding to the “Whatsoever Things” series in 2019 ! To be added to our mailing list to know when new titles are released, click here. To see more books of interest to children, visit our pages for Other Literature and Gospel Books.